This safety game has a lot of hurdles, doesn’t it? So naturally, when it comes to planning our PPE procurement – even when just focusing on footwear – there’s a lot to consider. And as Leticia Sanz Eguizábal addresses in her article, it’s not just the obvious hazards that you need to account for. Hardwearing? Tick. Impact protection? Tick. Comfortable enough to wear all day, every day? Tick – hopefully! Over your career there’s a high chance you’ll be wearing your protective footwear for more hours than your favourite jeans, so you’d better hope they’re comfortable. Point being, many of us get so preoccupied with ticking the obvious boxes for requirements, that we don’t stop to think of whether the very material the boots are made of could cause more safety concerns than all the external environmental factors we plan for. Fortunately, this is an essential remit of quantitative risk assessment of goods such as footwear. Regarding this assessment, the CTCR laboratory accredited by ENAC No. 1299 / LE2460, has the necessary competencies to carry out multiple tests, and among them is the chemical determination of chromium(VI) content in leather according to the UNE-EN ISO 17075-1 standard (colorimeter method). Leather footwear is very important for the European industry since it represents approximately 60% of all footwear production. Specifically, when considering leather production for footwear at a national level across the country of Spain, leather fashion continues as the highest (64% in pairs, 83% in value), followed at a good distance by textile material footwear with (28% in pairs, 11% in value) achieving a high representation among the neighbouring producing countries. Regarding exports, leather regains prominence in the first quarter, with an estimated growth of 2.7% in inter-annual rate. The production of leather footwear is an intensive process, both in terms of the work to create the product, and the time required to do so. In case you were under any illusions, the leather producing process is complex. Raw skins are transformed into different types of leather through a series of chemical and mechanical processes. The basic characteristics of each type of leather, such as softness or thickness, depend on the tanning process and, currently, most of the leather used to produce footwear is chrome tanned. Chrome tanning formed the basis for the development of the leather business on an industrial scale. However, if not controlled correctly, the use of chromium in the tanning stage carries a potential toxicity risk due to hexavalent chromium, Chromium(VI). Since this material is a component in many consumer items and, unfortunately, in its manufacturing process still generates by-products and waste, the leather industry bears the responsibility of managing and controlling that potential risk. In order to comply with current sustainability standards, it is necessary to guarantee the safety of tannery workers, the environment and of the final consumers. Chrome is an element used in various applications. More than 95% of the chromium is not used in the leather industry; only a small portion of the chromium ore ends up being used for this purpose. The vast majority finds its application in stainless steel and silver-plated articles. This is the reason why the overall recycling rate of chromium is very high, possibly the element of the periodic table with the highest recycling rate. Chromium comes in different forms. The elemental form, Chromium (0) and Chromium (III), is important for human nutrition, but the fact that it can oxidise under certain conditions, transforming it into its dangerous hexavalent form, Chromium(VI), represents a risk similar to that of many other organic chemicals. For this reason, it is considered toxic to humans and animals. Most of the chromium in the leather is tightly fixed to the collagen during tanning. Once the chromium is fixed to the fibre, its availability for the balance of Cr(III) and Cr(VI) is drastically reduced. In a standard chrome tanned leather, the chromium content fixed to the fibre is 3-4%. For such leather, the standard value of extractable Cr(III) is in the range of 50-500 ppm, although it depends largely on the conditions of the process and the formula. The concentration of 50 - 500 ppm is the amount available for equilibrium and is equivalent to a concentration of Cr(VI) in leather, much lower than the current detection limit of 3 ppm, concentrations that have been proven to pose a risk to the consumer. At high temperatures is when the oxidation reaction begins to turn towards Cr(VI). The direct oxidation of Cr(III) bound to the hexavalent form under standard conditions is very unlikely due to the extremely slow reaction rate. So with this in mind, why can there be Cr(VI) on leather? Likewise, it should be considered that there are chemical products found in the leather industry that can generate free radicals, for example, by exposure to UV light or by the bleaching/ cleaning processes; these radicals can favour the oxidation of trivalent to hexavalent chromium. After briefly analysing the chemical transformation and the balance between Cr(III) and Cr(VI), we can analyse the risk of hazard even in small doses. Hexavalent chromium is a strong allergen. It is toxic, and it is classified as carcinogenic and mutagenic category I if inhaled. Therefore, if leather contains significant amounts of Cr(VI), we face a potential risk. What are the realistic risks for those who are exposed to chromium? What are the limit value thresholds? Hexavalent chromium in leather goods has been regulated in the EU since 2015, with the aim of preventing allergies to chromium and dermatitis. Modification of Annex XVII of the REACH Regulation (EU 301/2014): Ban on the marketing of leather articles that are in contact with the skin with a 3mg/kg or more content of hexavalent chromium. So, it stands to reason that the question I’m sure you’re all asking, is: what kinds of leather are affected by the EU Regulation 301/2014 on chromium (VI)? Leather has been used for decades as main material for components in the manufacture of footwear and leather goods. This legislation not only affects footwear, however, it also affects a range of products that are in contact with the skin, such as sports equipment, seat covers, steering wheels and car gear sticks, as well as furniture and straps for watches and/or bags. Let’s focus now briefly on the UNE EN 17075 Standard. This addresses chemical determination of chromium(VI) content in leather using the colorimetric method. This standard specifies a method for the determination of the content of chromium(VI) in leached leather solutions, under certain conditions. The method described in this standard is adequate to quantify the content of chromium(VI) of leather from 3mg/kg. This standard applies to all types of leather, as previously mentioned in this article. The results obtained by the method described depend strictly on the extraction conditions. The results obtained by using other extraction procedures (extraction solution, pH, extraction time, etc.) cannot be compared with those obtained by the operating procedure described in this standard. The soluble Cr(VI) is extracted from the leather at pH 7.0 - 8.0 and the substances that influence the detection are removed by solid phase extraction (SPE). Cr(VI) in solution to oxidises 1,5-diphenyl carbazide to 1,5-diphenyl carbazone to give a red/violet complex which can be quantified photometrically at 540 nm. As of May 1, 2015, leather goods or goods with leather parts that come into contact with the skin may not contain chromium(VI) in concentrations equal to or greater than 3mg/kg of the total dry weight of that leather or part. In this regard, the Spanish Agency for Consumer Affairs, Food Safety and Nutrition (Aecosan) and the consumer authorities of several autonomous communities have been, for years now, in charge of warnings to withdraw products exceeding these limits from the market and ban the importation of numerous footwear from diverse brands, as they could cause allergies and intoxications due to their high content of Chromium(VI). This all goes to show that it is very important to establish analytical controls and have products tested at reference laboratories. When procuring PPE we’re very quick to check how it measures up against immediate, and traditionally wellknown hazards that are prevalent in industry. 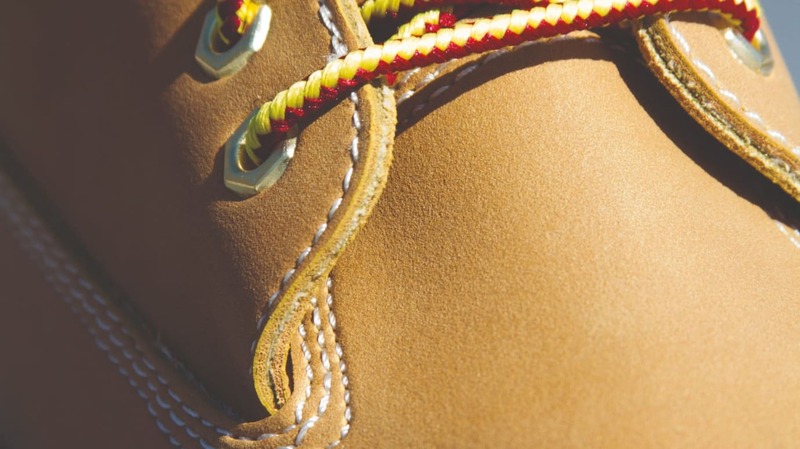 When it comes to protective footwear, we know workers may face hazards in the form of dropped objects, slipping, extremes of heat and cold, and standing on sharp objects – to name but a few. But with an ever-growing knowledge of risks, particularly from chemicals and hazards not previously considered, we must evolve how we procure PPE and protect personnel.